It’s reasonable to assume that the browser extension they are speaking of is the Alexa Traffic Rank browser extension. Therefore, the Alexa Rank is determined by the traffic hits to your website from visitors who have the Alexa Traffic Rank extension enabled in their browser. 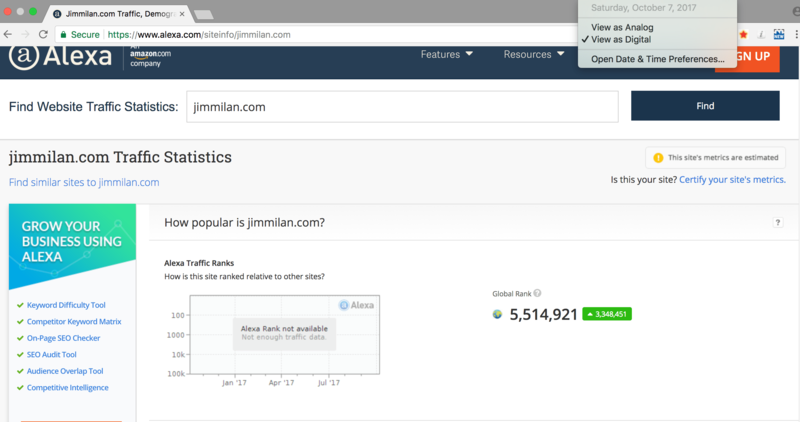 I had started with an Alexa Rank of 8,863,372. My goal was clear: to hit an Alex rank of less than one million as quickly as possible. With this in mind, I began to research how to improve my Alexa Rank. I achieved my goal over the course of three months. Here is how I did it. I headed over to the download page for the Alexa Traffic Rank browser extension and installed it in Google Chrome. As stated on the extension download page, “as you browse with the Alexa extension, you’re helping to make the Web a better place for everybody by contributing to the traffic information that Alexa provides.” With the extension installed, Alexa recorded whenever I visited my site. After the installation of the extension, I saw a major improvement in my Alexa rank. After installing the extension, my site saw a huge jump in Alexa rank on October 7th from 8,863,372 to 5,514,921. 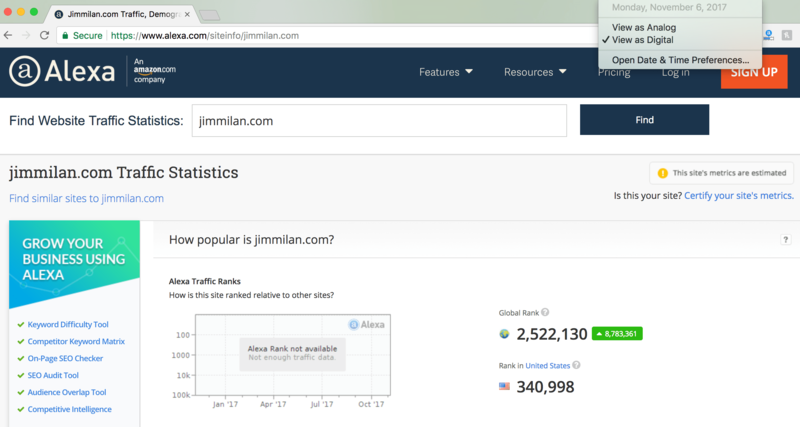 To ensure that the Alexa rank continued to head in the right direction, I made sure to visit my site from multiple IPs everyday (home computer and work computer) so that the extension would record those visits. One thing that you should always be doing is creating high-quality content that is useful and valuable to people. I published a guest post on my site on November 4th and shortly thereafter on November 6th, my Alexa rank again shot up, this time to a ranking of 2,522,130. In December, I published a 7,000+ word guide to WordPress SEO. I wanted to be sure that I was publishing lengthy posts crammed with useful tips that I knew would be valuable to my audience, people interested in digital marketing and SEO. As I was visting my site every day with the Alexa extension installed, I also made sure to continue to build links from authoritative sites that were within my niche. 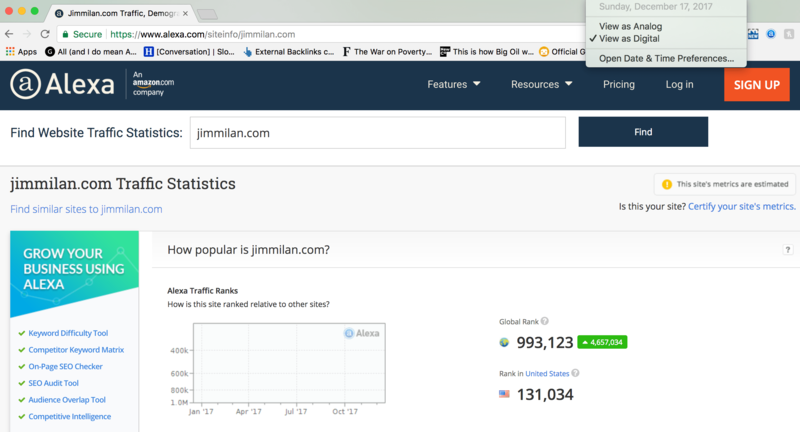 On November 20th, I published a guest post on MuffinMarketing.com which included two links back to my site. I was also featured in a number of expert roundup posts (here, here, and here) throughout October, November, and December which further boosted my site’s domain authority and allowed me to attract more referral and organic traffic. Anything that gets your content in front of more people increases the chances that you will be acquiring traffic from users who have the Alexa browser extension enabled so sharing your content on social media is an absolute must. Every time I create content I make sure to share it on my Twitter, LinkedIn, and Facebook properties and I have a social plugin installed on my site which makes it easy for anyone to share my content on those social media platforms. 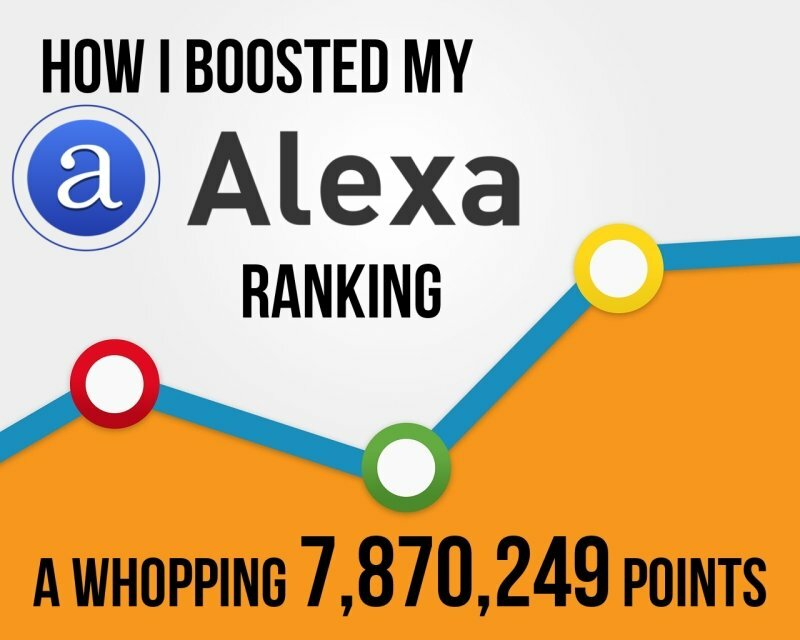 By installing the Alexa Rank browser extension, creating high-quality content, building links, and sharing my content on social media, I was able to achieve my goal of attaining an Alexa Rank less than 1 million on December 17th, 2017. As of January 2018, my Alexa Rank stands at 704,201. Alexa Traffic Rank is useful for monitoring your content’s performance and joining HARO as a journalist. Follow the steps outlined in this guide and you will be well on your way to achieving a much improved Alexa Rank. Good luck!